​The longer this saga drags on, the likelier a mystery team not only emerges, but succeeds. The ​Manny Machado case has been interesting out of the gate. One of the most intriguing free agents we've seen in a decade, yet also one who did everything possible to tank his own case during the month of October. Therefore, it was bonkers that only three teams (Yankees, White Sox, Phillies) were in on the bidding, but not shocking that his desired monetary value wasn't being met. 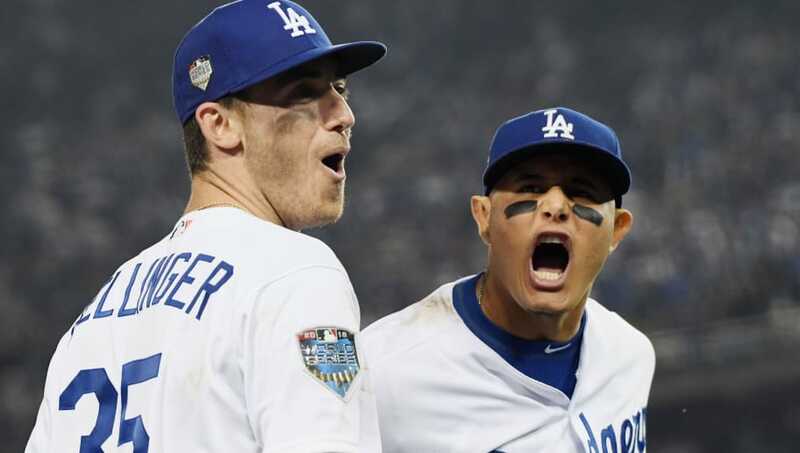 Enter the mysterious squad, one that apparently has personally met with Machado recently, and may have the highest offer on the table. And that could be enough to get him. ​​That whole "highest bidder" thing kind of makes you realize why this is dragging on so long. The White Sox ​can acquire as many cousins, uncles, and beloved family pets as they want, but if their rumored $175 million offer is real, then he's not going there, ​no matter what hat he's working out in. Not only does the mystery team exist, but if their bid is the highest, they really might get this thing done. So, who is it? The Brewers make sense. The Mets make sense, but they never would. Manny's ​dad thinks it's the Dodgers? The Red Sox could pivot massively and just try to hurt everyone? ​There might even be two of them. We hope this gets resolved soon (it won't), but allow us to heartily endorse the idea of a mystery team. There should be eight mystery teams. Everyone should be trying to sign an elite 26-year old. End of story.